It was so hard to choose just one post to share today, 2012 was an amazing year for us, but this activity is one we've enjoyed throughout the year. 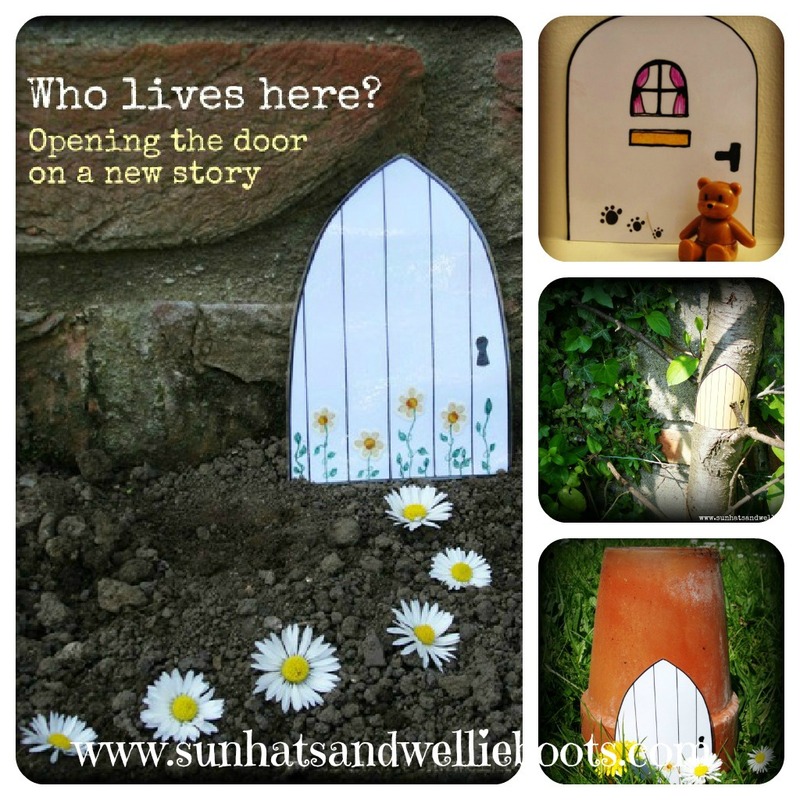 It's inspired stories, small world play, & oodles of creativity & imagination. 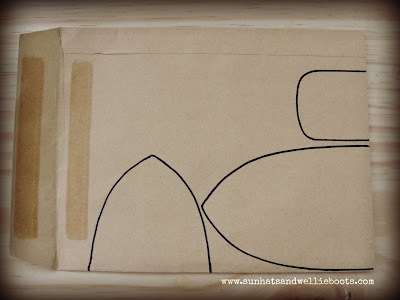 What do you see when you look around you? If you look closely you might just discover something new. 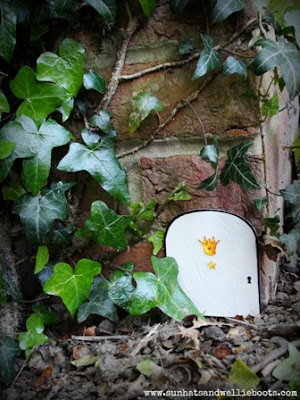 Maybe you'll discover a door hidden around your backyard, kitchen or a nearby tree, perhaps leading into another world? 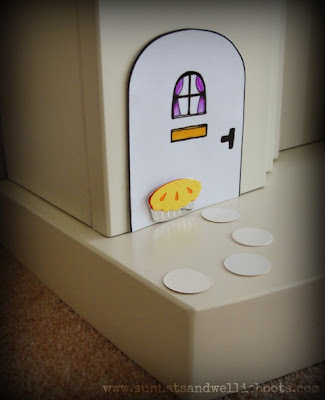 These little doors have prompted much play & storytelling in our house, & most of them started life as recycled paper or card. 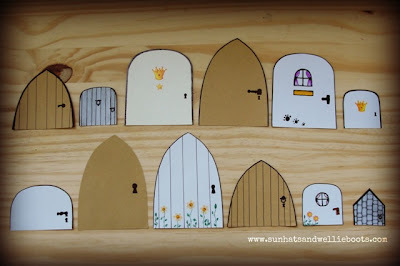 I drew a selection of simple doors & added a few details with fine marker pens & stickers. Once they were all cut out I laminated them so we could use them outside come rain or shine. 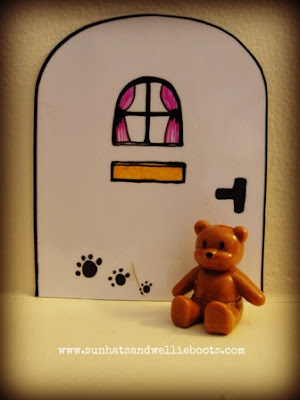 The laminate also made them more sturdy & prevented them from being damaged during play. On some of the doors I added a little clue as to who might live behind them. Can you guess who may live here? I wonder what event was being celebrated behind this door? I hid the different doors around our garden & waited for Minnie to find them. 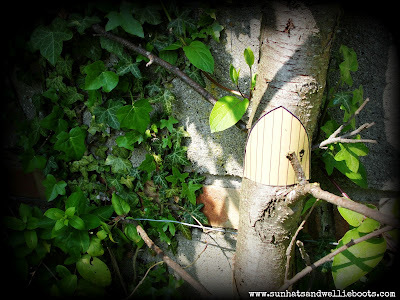 This wall was an ideal place to hide a tiny door in the ivy. 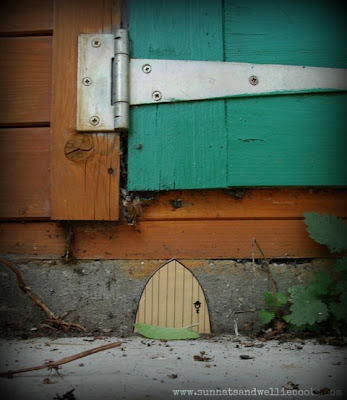 Next time you're out check the bottom of your garden shed, you never know what you might find. 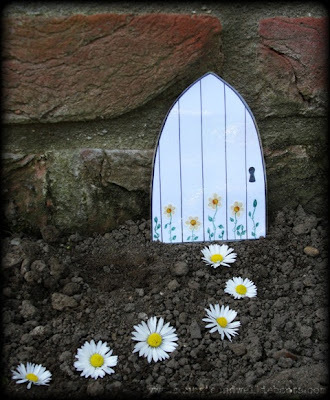 These daisy stepping stones gave a little clue as to where one door was hidden. 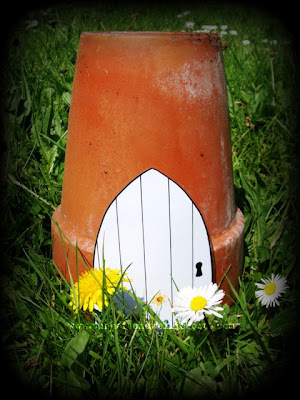 And how about this flowerpot residence, could a fairy, mini princess, or elf live here? According to Minnie a giant lives here! But not just any old giant, a magic giant who can make himself big & then really, really tiny!! 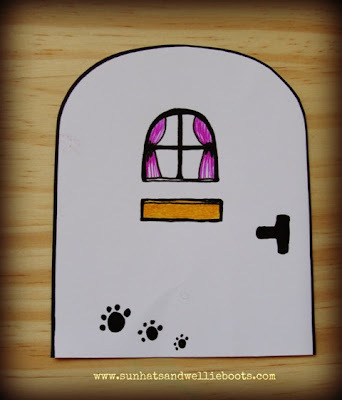 Could this be a house, school, church, or perhaps it's a door leading to an underground tunnel? 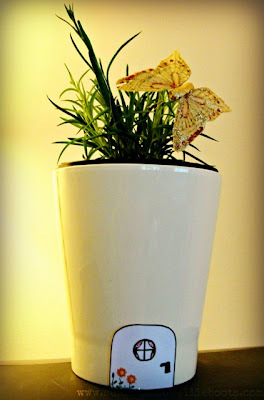 This indoor flowerpot would make a great residence for mini gardeners who prefer warmer surroundings! 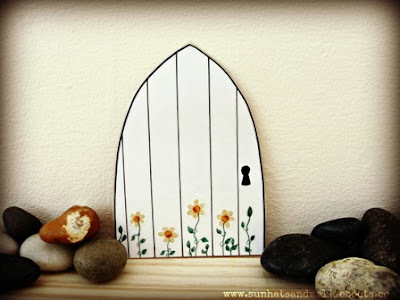 Adding a few small pebbles around this door offered more play opportunities. 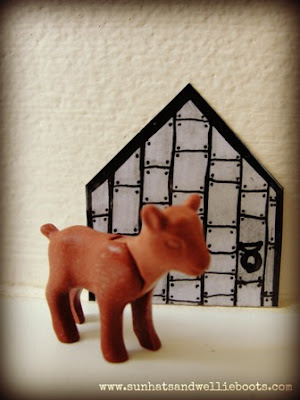 Where could this door be, in a rock, cave, or along a stony path? What could the pebbles represent? 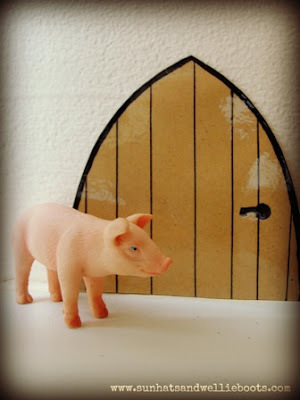 Adding a few props / characters offers a starting point, or prompt for a story, but who knows where the story will go, & what adventures will take place! The story could go anywhere! 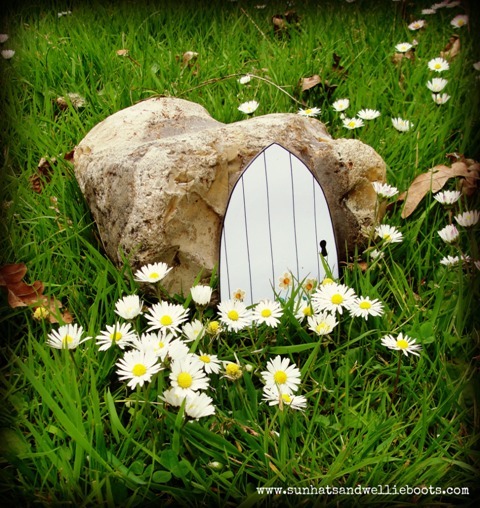 These little doors have encouraged Minnie to create new worlds, & scenarios, as well as reenact favourite fairy stories, & familiar domestic situations. They've been a key part of her outdoor play recently & have been moved around the garden to house ants, frogs, & bears! She has been totally absorbed in the stories she has created & it's been a joy to listen to the descriptions & narrative she's shared. 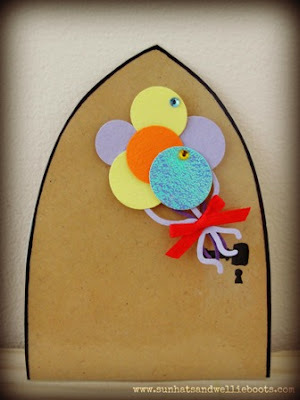 I'd love to see what kind of doors Minnie would design, & who she would make them for.